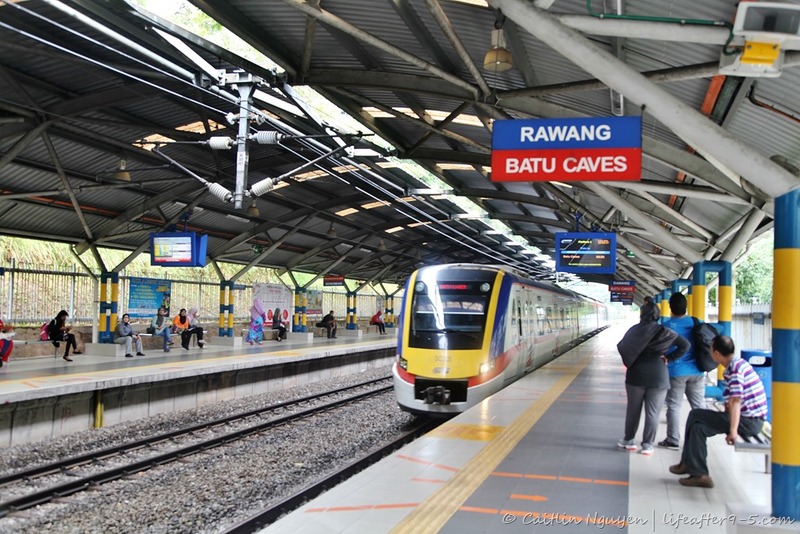 Getting there: The Batu Caves are located about 13km from downtown Kuala Lumpur and can be easily reached by taking the KTM Komuter train using the Batu Caves-Port Klang Route. The journey only takes 20 minutes and costs less than $1 USD for round trip tickets. Alternately, you can also join a half day guided tour which costs about $50 USD. Know Before You Go: Public displays of affection are not allowed on the train. 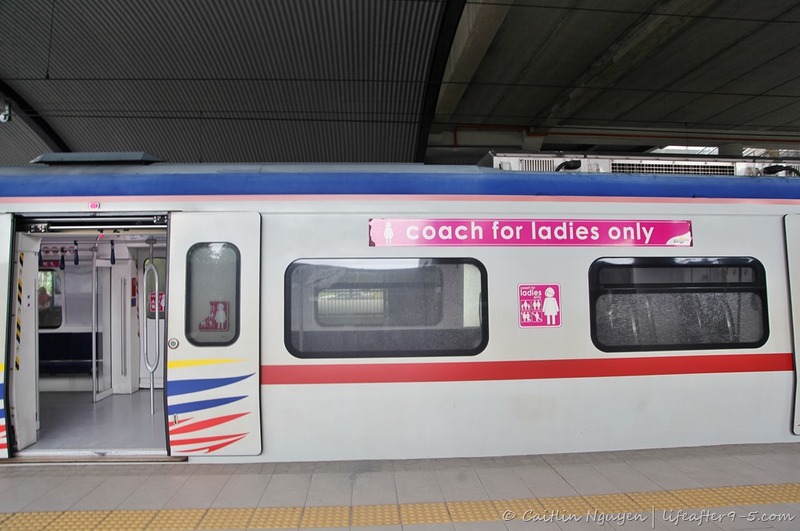 There is a separate train carriage for women only, that’s clearly marked by the pink signs. 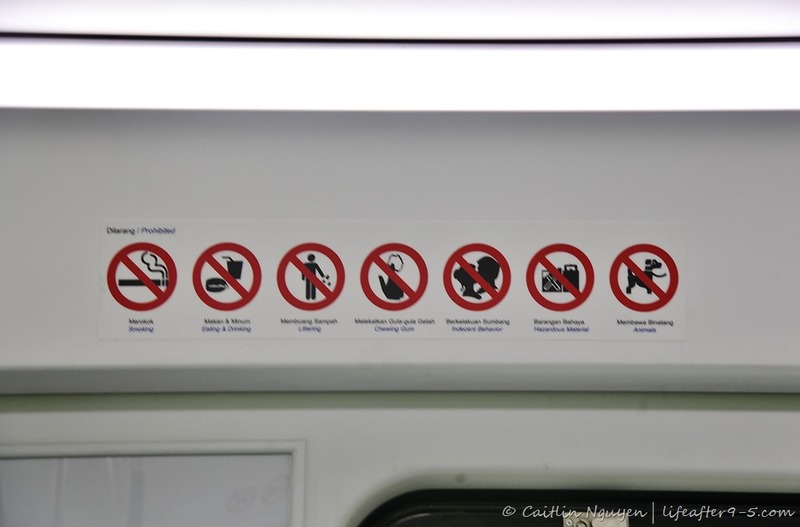 Men are not allowed in that carriage, even if they are traveling with a female companion. 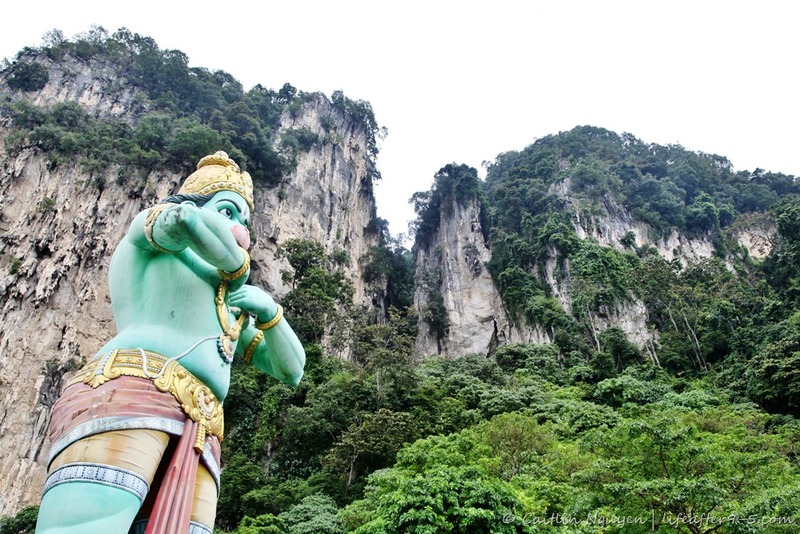 Getting off the train, we were greeted by a gigantic colorful Hindu god Hanuman, conspicuous against the lush green cliffs. According to the Hindu legends, Hanuman was a devotee of Rama who participated in war against the demon king Ravana. Nearby, is a small shrine dedicated to Hanuman, frequented by the most devoted worshipers. 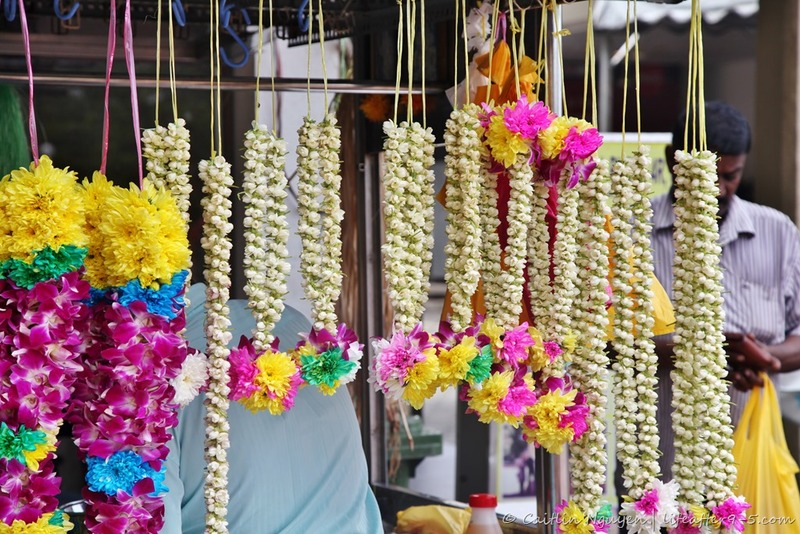 A little further on are a few stalls and restaurants that cater to tourists selling souvenirs, snacks, and refreshments. 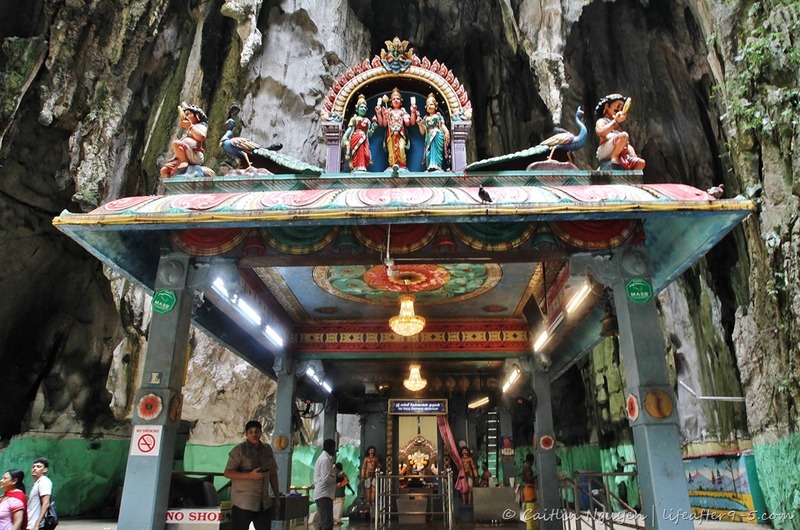 At the entrance of the caves is the grand statue of Lord Murugan, the Hindu god of war. The relatively new statue, was unveiled in 2006 and stands 140 feet (43 meters) high. 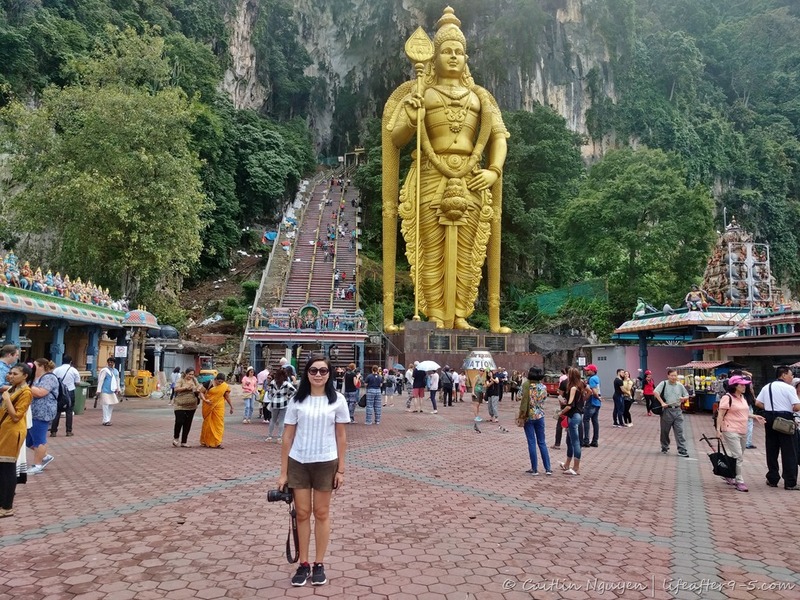 The iconic Lord Murugan is made of 1550 cubic meters of concrete, 250 tons of steel rebar and 80 gallons (300L) of gold paint brought in from neighboring Thailand. 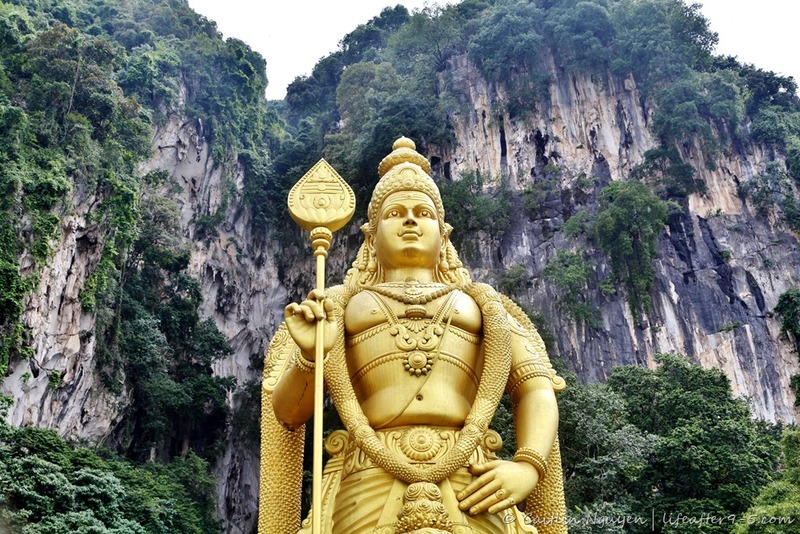 This majestic gold statue took 3 years to construct and cost 2.5 million Ringgit. 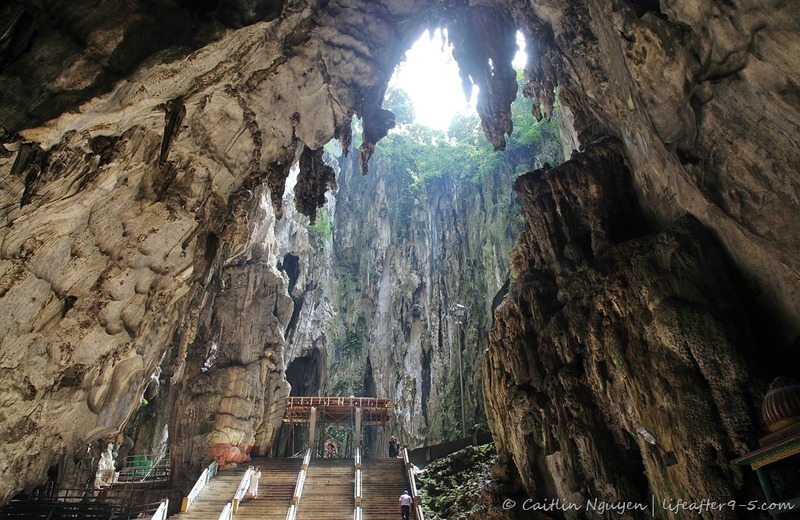 The Batu Caves temple consists of three main caves – Temple Cave, Dark Cave, and the Art Gallery Cave. 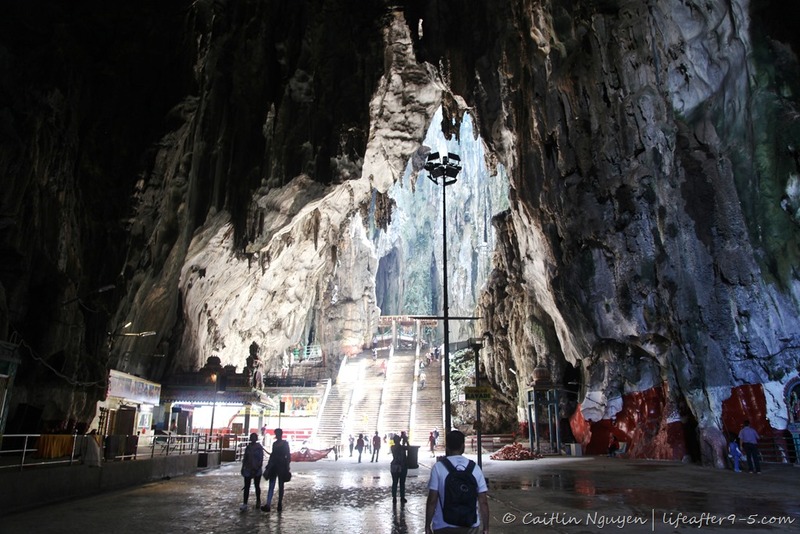 The largest one is Cathedral Cave or Temple Cave with its high rock faced walls that stretch to the sky. To reach it, visitors must make a steep climb up 272 flights of stairs, a daunting task, but perfectly doable. 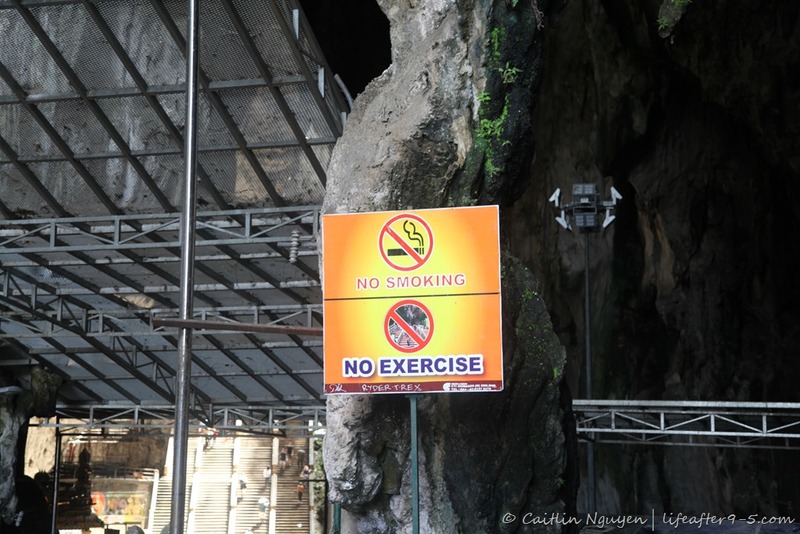 There is no entry fee to visit the Temple Cave, although you may choose to leave a donation in one of the collection boxes. There is a dress code enforced, not allowing women to enter the temple in shorts or skirts above the knee. At the entrance, there are people handing out scarves for a small fee that you can use to cover yourself before going up. 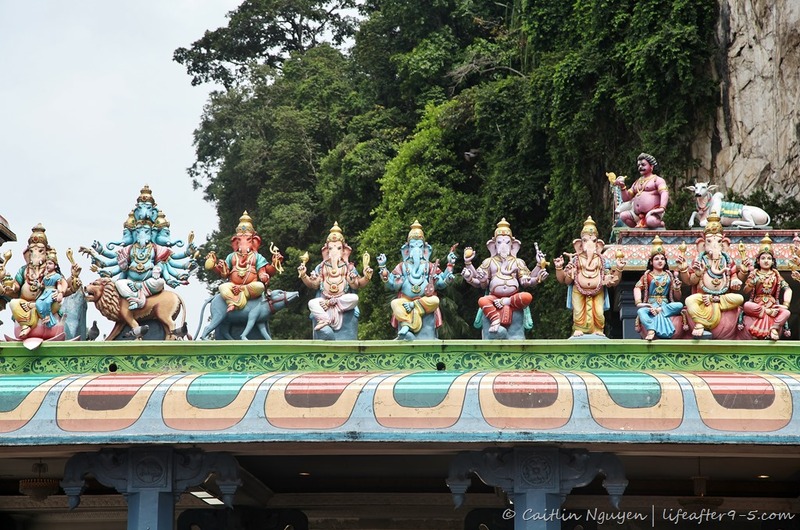 The gateway to the steps are beautifully decorated with colorful Hindu gods, ushering you into the sacred space. 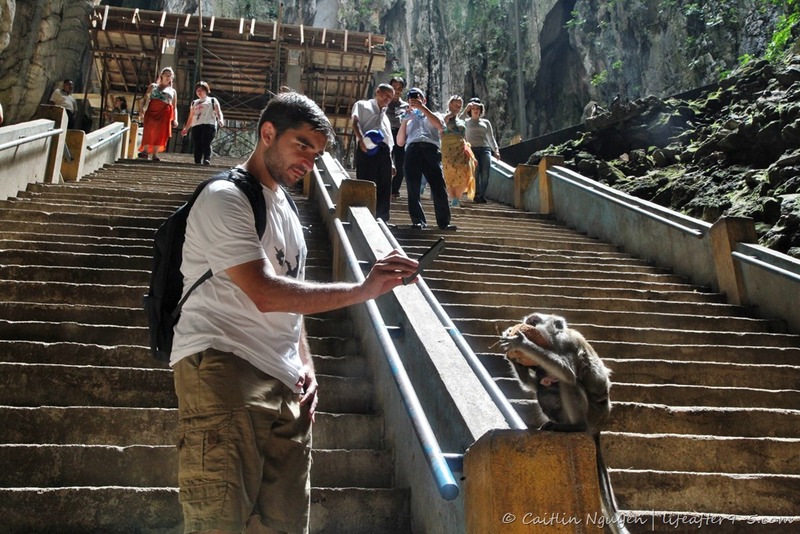 As you start to ascend you’ll notice the army of macaque monkeys running up and down the steps. They patrol for any sign of food from garbage bins or unwary tourists. Make sure you’re not carrying around open packages because these guys are quite fast and stealthy and have no qualms about taking the food right out of your hand. Some are quite adorable and make a great subjects for photos, but others can be quite territorial. It’s best that you do not approach them. 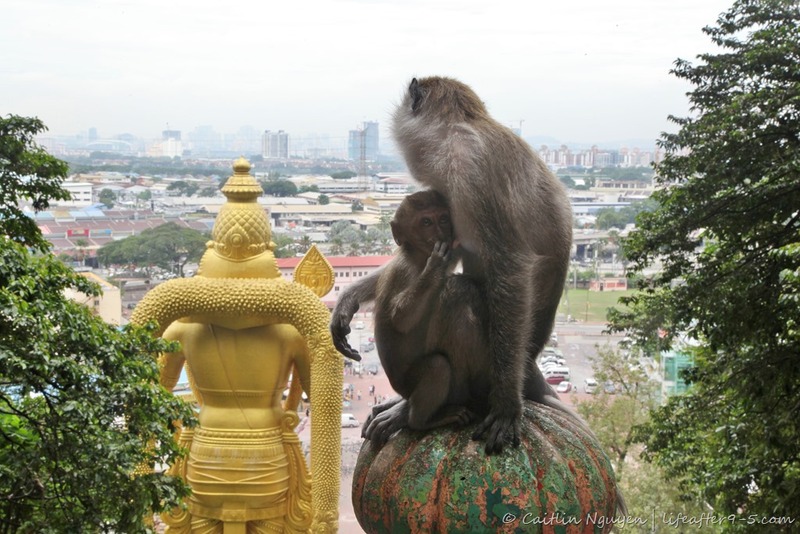 Once in awhile you’ll hear a tourist’s high pitched shriek as a monkey gets a little too close for comfort. About half way up, you can make a detour to visit the Dark Cave to see the dark cave dwellers in their natural habitats. The guided tour costs 35 RM and takes about about 45 minutes. 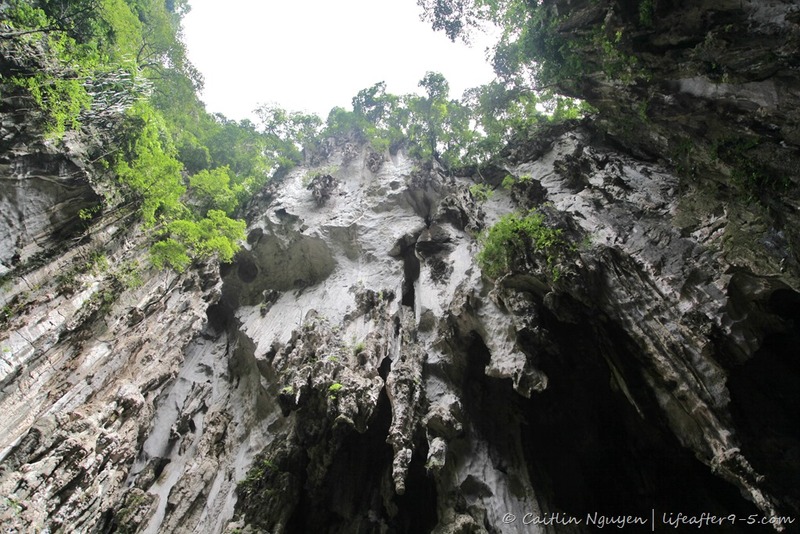 It takes you through seven different chambers where you can glimpse the dramatic limestone formations, spot a bat or two, and see hundreds of other lifeforms including the rare trapdoor spider. From the top of the stairs, you can see the stunning skyline of the city center. It also brings you into an open cavern that looks like it might have been a lake once, with its high vaulted ceiling. 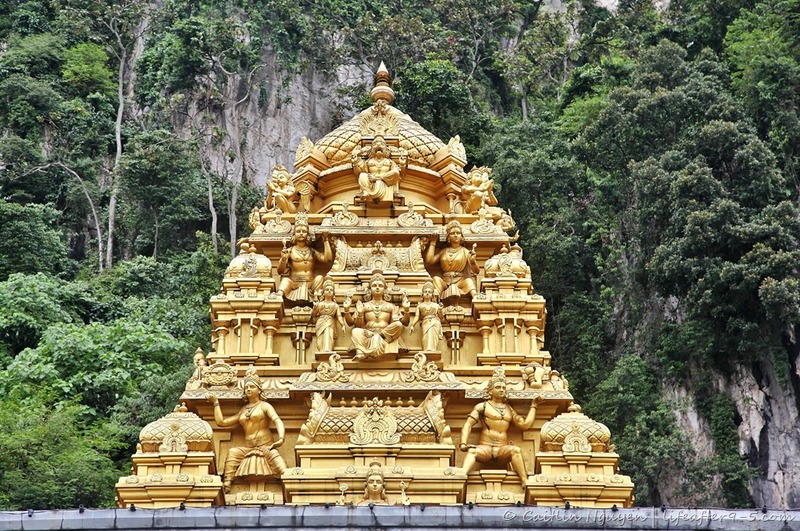 It houses the ornate Hindu shrine dedicated to Lord Murugan. The entire place felt very spiritual, especially with the water streaming down the cave walls from above. There were some people worshipping on the site but most of the people there were too busy taking pictures. 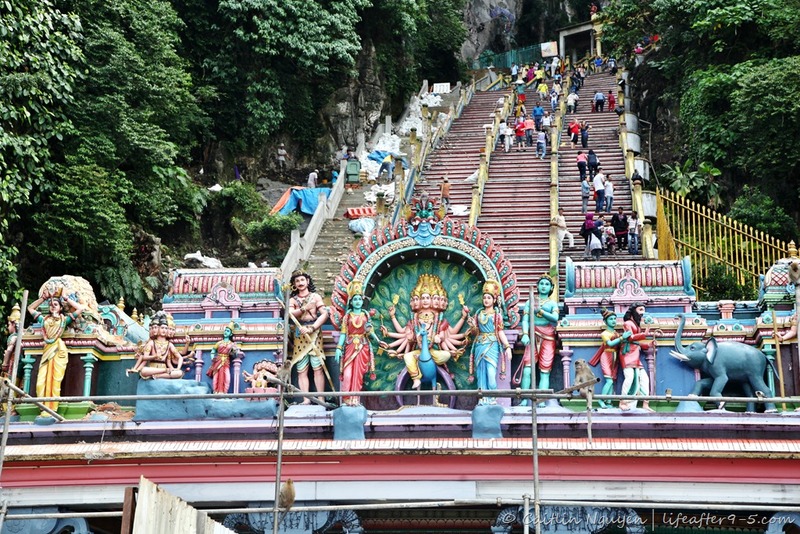 Within the main cave is another set of stairs leading to the upper cave where the Sri Valli Devanai Temple is housed, dedicated to Lord Murugan and his two wives, Valli and Devanai. The space is bright and naturally illuminated by the cave opening from above. Looking up you can see birds flying high above in the jungle. Anyone can enter the temple, but you must remove your shoes when going inside. 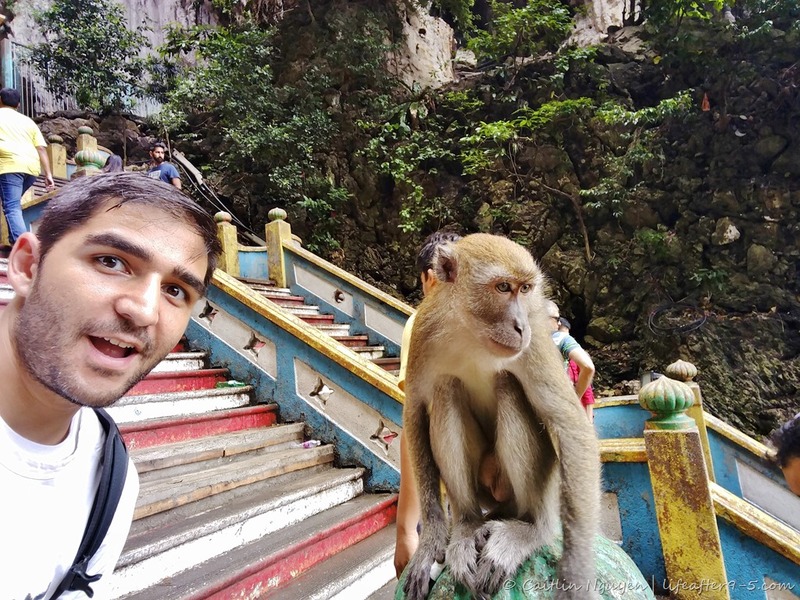 Mel visited Batu caves in his childhood days. But not for Suan. And we have not been since then! Its so near but seems so far! Yeah you know … the nearest destinations are often overlooked! 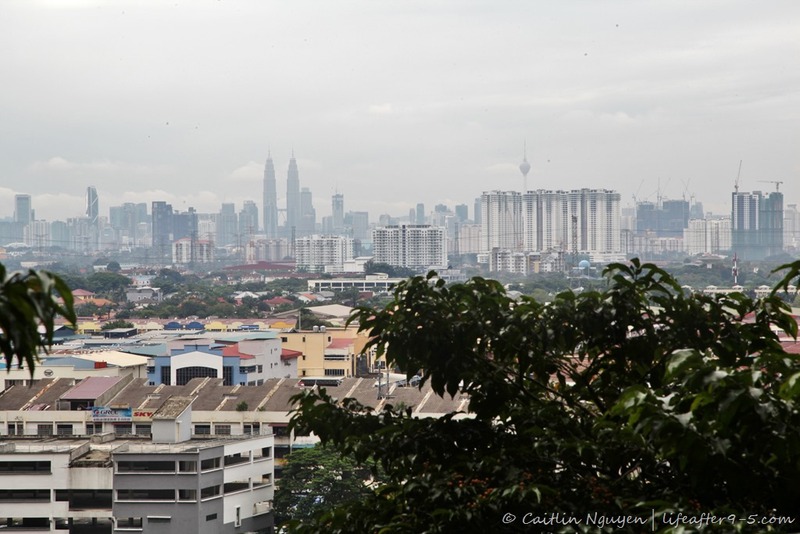 It was definitely a great decision to visit KL and Singapore together. 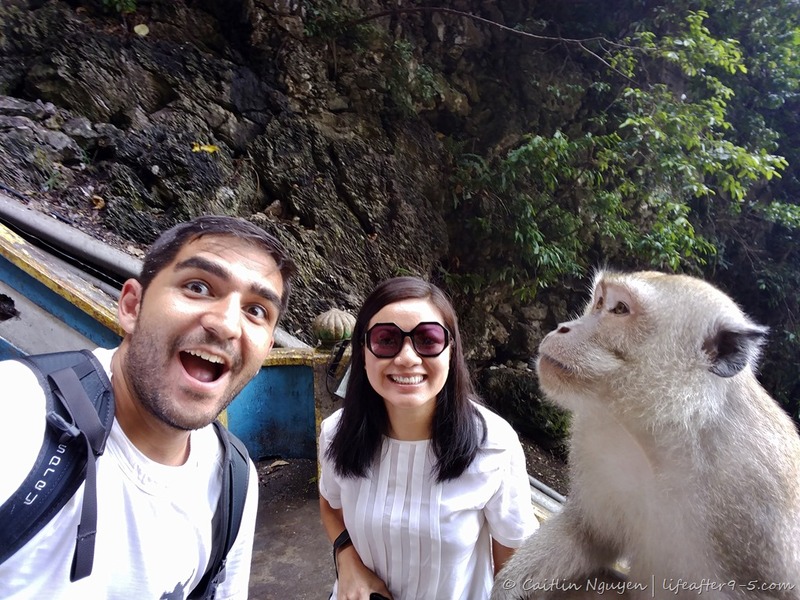 We did the same except that didnt explore KL (opted for Langkawi instead) which we later regretted (should have done both). It is interesting though that the train is separated… I guess since its an enclosed area. That itself would do it for me to make me not want to take the train to be honest…. but I guess different traditions and different mentalities. It was a good amount of time to see a few things in KL. I think the train was separated for the women’s sake, so if they don’t want to be in the train with the men, they can go to the designated car. There was other unisex cars as well. They seem pretty strict about public display of affections though.